The cycle tracks have the highest priority when clearing snow. They are cleared before the roads even get touched. Even on a Sunday evening, like in the photo above. Getting ready for the rush in the morning, but also providing clear cycling for whoever is out there at the moment, transporting themselves from A to B. 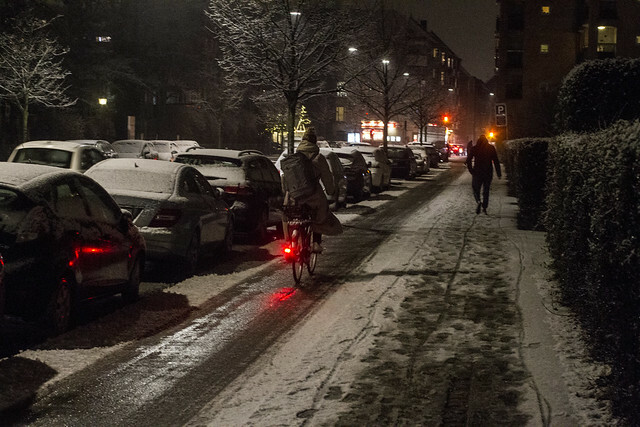 See how Copenhagen prioritises cycle tracks for snow clearance here.